Kidderminster based Brockway Carpets and its new sister business The Grosvenor Wilton Company Limited has launched a recruitment campaign aimed at expanding its workforce. The announcement follows Brockway’s recent ­­­­­­­­­­­­­­­­­acquisition of Grosvenor Wilton, one of the nation’s oldest and most prestigious independent carpet manufacturers. Grosvenor Wilton is looking for a host of full-time and part-time staff to support the company’s expansion plans at its Hartlebury, Worcestershire factory. 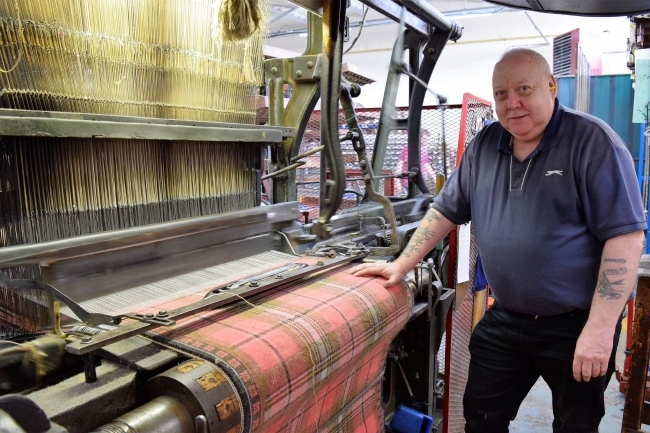 Chairman Charles Annable said: “We’re looking to recruit across a wide range of skills and experience from experienced weavers to junior apprentices. We have immediate requirements for specialist skills, such as experienced winders and weaving engineers. And we’re particularly keen to encourage youngsters into the industry who are looking for entry level career opportunities to learn how to weave. He added: “The growth of Brockway over the last two years together with our acquisition of Grosvenor Wilton means we’re able to accelerate growth plans by expanding our 100-strong workforce. This aims to further strengthen the Group’s position as the UK’s leading manufacturer of beautiful, wool-rich carpets. Brockway has been designing and producing premium quality, hand finished carpets in Kidderminster since 1964. The company combines British craftsmanship using the finest raw materials to ensure the sustainable manufacture of award-winning carpets. Grosvenor Wilton is one of the finest manufacturers of Wilton and bespoke carpets since 1790 for the world’s most historic palaces, stately homes, public buildings and private residences.